Your shiny holiday bonus isn’t going to spend itself. 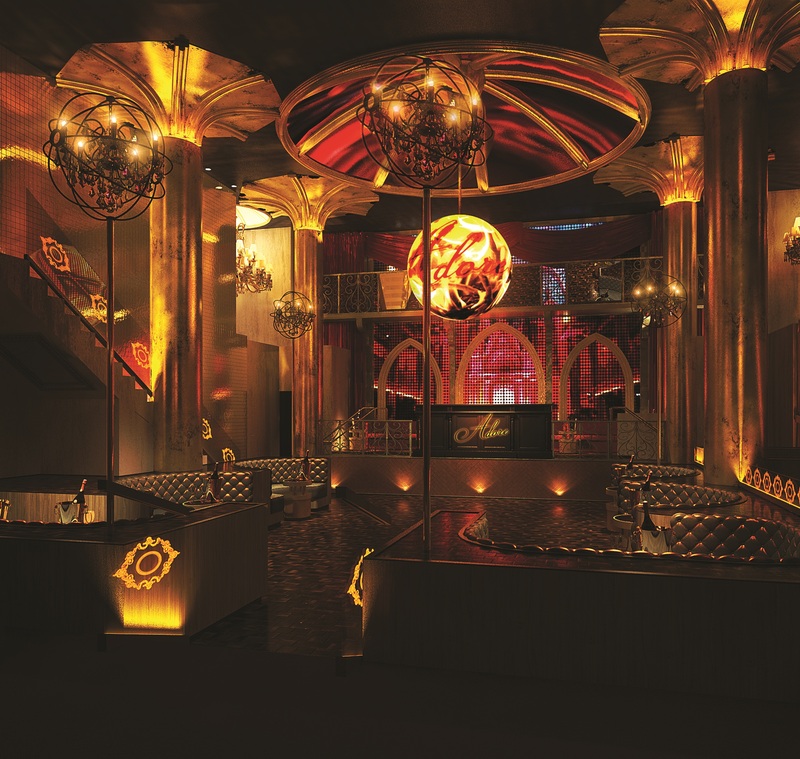 Adoré Nightclub in the Boulan Hotel is making its swanky grand entrance on the first day of Art Basel. Which is fitting, because this place is a piece of art itself thanks to a canvas of cathedral ceilings, suspended LED sphere German chandeliers, and walls draped in amber and Gothic gold.